Sephora's "Professional" line of brushes has always been a very solid one that offered good design and a great value. It's gone through several changes over the years (I still have a few with the original thicker black handle that were made in France about ten years ago). 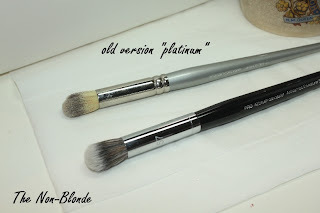 Late last year Sephora redesigned the brushes again, replacing the Platinum Professional range with the Pro brushes that have black tapered handles. They look nice and seem to have been through a visible upgrade. Sephora #57 Airbrush Concealer Brush was one of the last additions to the "Airbrush" series. I bought the original one as soon as it was launched only to find it lacking in comparison to #55 and #56. 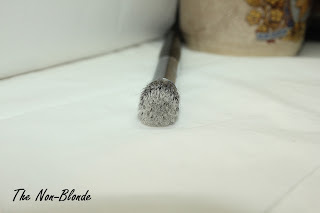 From the info I gathered it seemed like a quality control issue more than a real flaw, and indeed, the new Sephora Pro Airbrush Concealer Brush #57 is excellent. 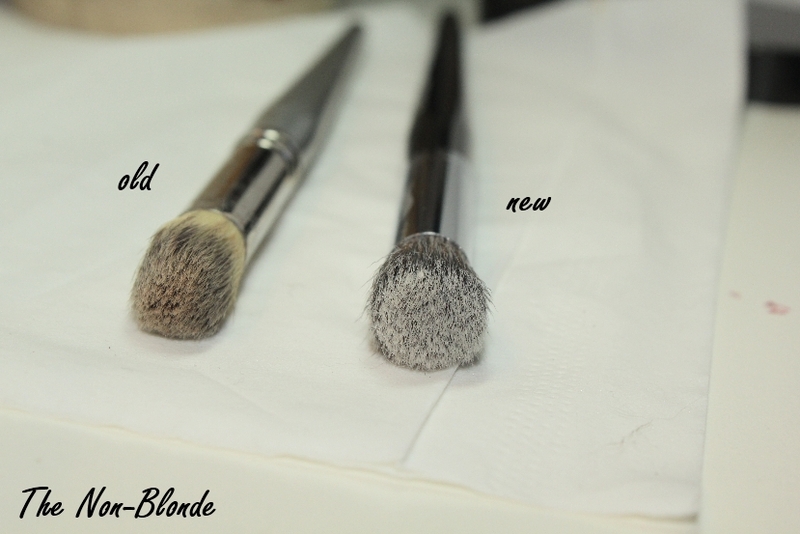 It's a fuller and rounder, the bristles are of a higher quality and have a better movement , and the result is better buffing and blending. 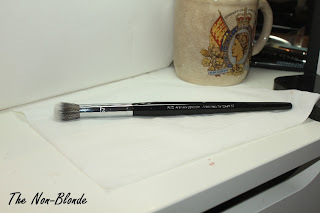 Do remember that Sephora Pro Airbrush Concealer Brush #57 is a relatively large concealer brush and is not meant for pinpoint concealing and precision work. 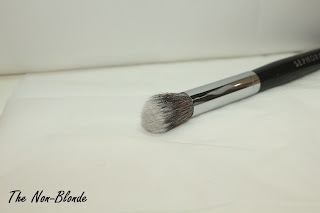 The brush aims to give a smooth and flawless finish when applying concealer (or a cream highlighter) to larger areas that need to blend seamlessly into your foundation. Sephora Pro Airbrush Concealer Brush #57 ($24) is available in store and online.